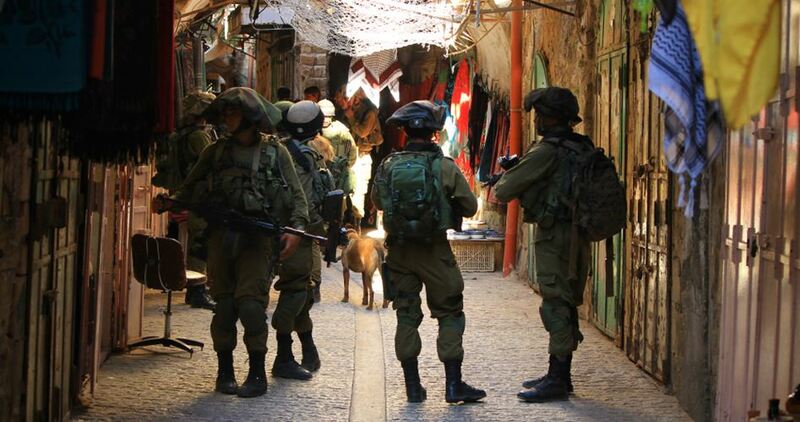 The Israeli occupation forces (IOF) on Tuesday forced Palestinian storeowners in the Old City of al-Khalil to close their businesses in order to allow Jewish settlers to celebrate their Passover holiday. According to a Palestinian Information Center (PIC) reporter, dozens of soldiers forced storekeepers in the Old City neighborhoods of Beersheba, Shuhada, Omyan, Qazazin, Laban and Bab al-Baladiya to close their businesses. Consequently, skirmishes broke out between Palestinian young men and Israeli soldiers in Beersheba neighborhood later in the afternoon after settlers swarmed an archeological area there. One young man identified as Hasan Zaheda was taken prisoner during the events. The Israeli occupation forces (IOF) on Monday kidnapped a Palestinian teacher from Halhul city in northern al-Khalil, according to his family who received a phone call from Israel’s internal intelligence. The teacher, Jihad Abu Zalata, disappeared two days ago after he left his school, his family told the Palestinian Information Center (PIC). 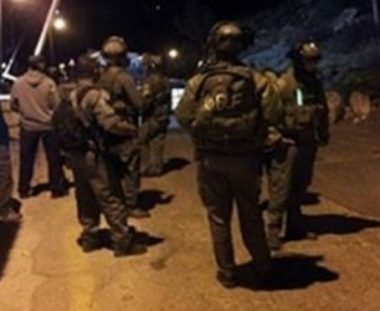 On Tuesday evening, the IOF set up a makeshift checkpoint in Nabi Younis area in Halhul, where soldiers obstructed the movement of Palestinians vehicles and searched passengers. Israeli soldiers abducted, on Wednesday at dawn, ten young Palestinian men from their homes, in several parts of the occupied West Bank. 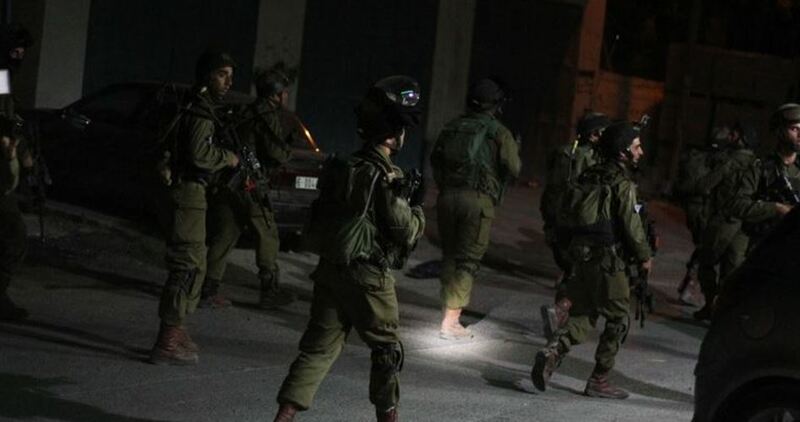 The soldiers invaded Ras al-‘Ein area, in the northern West Bank city of Nablus, before storming the local Power Company, and abducted a young man, identified as Roshdi al-Qayyim. The soldiers also fired many gas bombs, concussion grenades and rubber-coated steel bullets at local youngsters, who hurled stones at them while invading the city. In related news, the soldiers released Jamal Qadous and Ahmad Faqeeh, who were abducted from Iraq-Burin village, south of Nablus, on Tuesday evening. The soldiers claimed the two hurled stones at them, while local sources said the two were just in the area, and that Qadous cannot walk due to polio since he was a child. In addition, the soldiers invaded Sorra town, west of Nablus, and fired dozens of concussion grenades before withdrawing. In Ramallah, the soldiers invaded the al-Jalazoun refugee camp, north of the city, searched homes and abducted Mohammad Hasan Oleyyan. The soldiers also invaded Umm Rokba area, in the al-Khader town south or Bethlehem, searched homes and abducted Mohannad Mahmoud al-Wash, 19. It is worth mentioning that Mohannad’s brothers, Ra’fat, 18, and Hamza, 16, were abducted by the soldiers three days ago, also from their home, in the al-Jabal area, in the opposite direction of Solomon Pools in the town. In Jericho, the soldiers searched homes and abducted Saleh Abu Sharar and Osama Issa Hdeib, from Ein al-Sultan refugee camp. In related news, several fanatic Israeli colonialist settlers infiltrated into Far’ata town, east of the northern West Bank city of Qalqilia, and punctured the tires of five parked cars, in the eastern area, near the illegal Gilad colonialist post. The Israeli occupation forces (IOF) at dawn Wednesday launched raids into different West Bank provinces. The PIC reporter said that the IOF stormed Nablus city, broke into a residential building in Ras al-Ain neighborhood and arrested the Palestinian youth Rushdi al-Qayyem. Violent confrontations erupted in the area during which the IOF soldiers heavily fired live ammunition, sound bombs and teargas canisters. 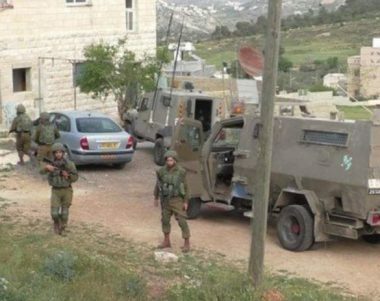 The IOF further raided Iraq Burin village south of Nablus and searched a number of Palestinian houses. Other campaigns were witnessed in Burin and Sarra villages south and west of the city respectively. In a related context, the IOF at dawn released two Palestinians named Jamal Qadous, a young man with special needs, and Ahmad Faqih. Both of them were arrested during a raid into Iraq Burin village on Tuesday. Dozens of IOF patrols stormed Kifl Hares north of Salfit, roamed the village's streets and took photos of old Palestinian houses for unknown reasons. Local sources told the PIC reporter that a Palestinian young man identified as Ahmad al-Amour, 30, was arrested at an abrupt checkpoint near al-Yamoun village west of Jenin. 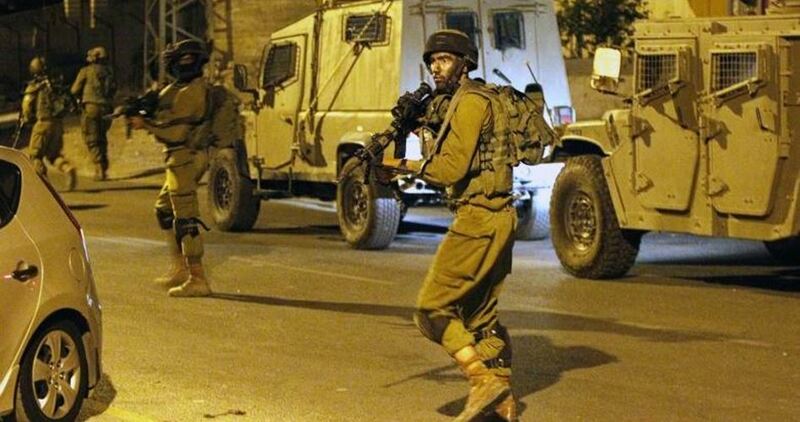 Meanwhile, eyewitnesses said that the IOF soldiers during the morning hours were deployed in large numbers in al-Samu' town south of al-Khalil. According to the witnesses, the soldiers erected temporary checkpoints, stopped Palestinian vehicles and scrutinized passengers' IDs causing a traffic jam. Palestinian medical sources have reported that Israeli soldiers shot, Monday four young men, assaulted and abducted one of them, after the army invaded Nabi Saleh village, north of the central West Bank city of Ramallah, and attacked protesters. The sources said the army shot three Palestinians with live fire in their legs, before locals rushed them in private cars to Salfit governmental hospital, suffering moderate wounds. The soldiers also shot another Palestinian, and assaulted him despite his wounds, before abducting him. The Health Ministry in the West Bank said the Palestinian District Coordination Office was informed by the Israeli side that the Palestinian was shot with a rubber-coated steel bullet in his neck and is in a stable condition. Dozens of Palestinian suffered the effects of teargas inhalation, especially since the soldiers fired a barrage of gas bombs at the protesters and homes in the village and received the needed treatment. Israeli occupation forces (IOF) shot and wounded a Palestinian youth near Avnei Hefetz settlement, established on Tulkarem lands in the West Bank, on Monday evening before arresting him. Conflicting Hebrew media reports claimed that the young man tried to stab IOF soldiers before he was shot while other media report said that he threw stones at the guards of the settlement and ran towards them prompting the guards to fire at him. The reports said that his condition was light to moderate, but did not reveal his identity. 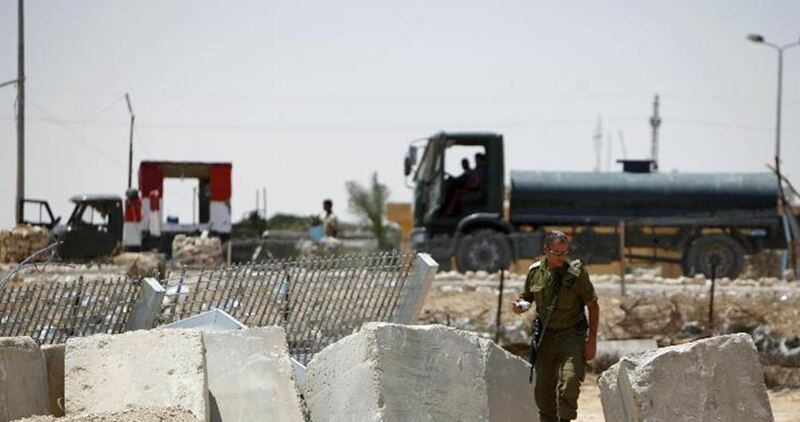 The Israeli Occupation Forces (IOF) arrested on Monday evening three Palestinian youths near the border fence to the east of Khan Younis in the southern Gaza Strip. 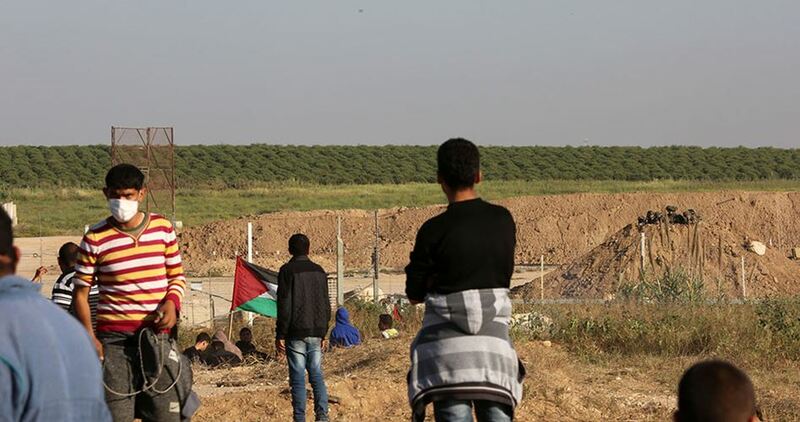 Eyewitnesses affirmed that IOF soldiers, stationed along the border fence, opened their machinegun fire at Palestinian protesters before arresting three of them for allegedly approaching the border fence. 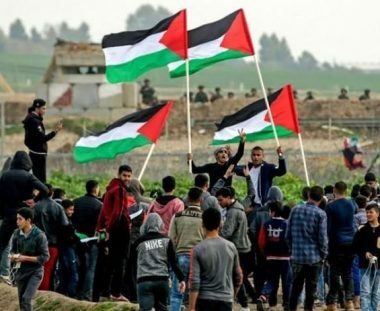 Palestinian youths continued for the fourth consecutive day to rally along Gaza's eastern border to participate in the activities of the Great March of Return despite Israeli threats. The Israeli occupation forces (IOF) at dawn Monday arrested 14 Palestinians during raid campaigns launched in the West Bank and Jerusalem. The Israeli occupation army in its daily report said that its forces arrested eight Palestinians involved in attacks against Israeli soldiers and settlers. The army claimed that a homemade weapon was found in a Palestinian facility in al-Khalil during the campaign. 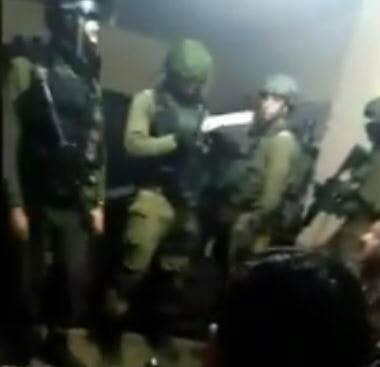 The Israeli police arrested six Palestinian minors in al-Isawiya town east of Jerusalem after raiding and searching their family houses and transferred them to Israeli interrogation centers in the city. Eyewitnesses told the PIC reporter that several IOF patrols stormed Nablus city at daybreak and arrested three Palestinian youths including an ex-prisoner. 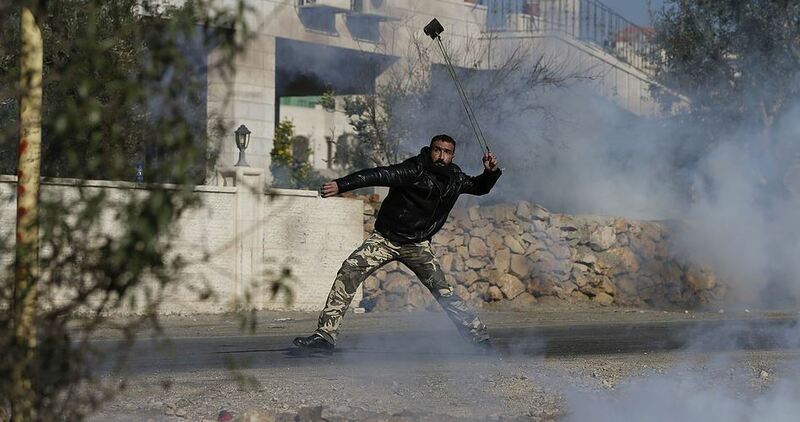 Violent confrontations broke out in the city between Palestinian youths and the IOF soldiers during which the latter heavily fired live ammunition, sound bombs and teargas canisters. Meanwhile, the IOF broke into the house of the Palestinian martyr Abdulrahman Bani Fadel in Aqraba town east of Nablus and handed his family an order to demolish the second floor of the house. Bani Fadel was shot dead by the Israeli police after carrying out an anti-occupation stabbing attack in the Old City of Jerusalem two weeks ago. Israeli occupation forces (IOF) on Sunday evening rounded up a Palestinian man in his twenties after confiscating his motorcycle at a military barrier erected at the entrance to Silat al-Harithiya town west of Jenin city in the northern West Bank. Local sources told the PIC reporter that IOF troopers removed the makeshift checkpoint and left the area after arresting the man whose identity has not been revealed yet. The Israeli occupation forces (IOF) on Saturday evening arrested a Palestinian youth during clashes in Salfit. 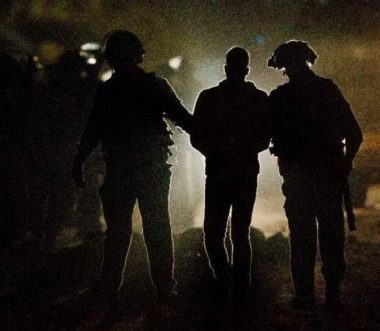 Eyewitnesses reported that violent clashes erupted between Palestinian citizens and the IOF north of Salfit during which the latter arrested a Palestinian young man identified as Anas Awwad. Salfit witnesses regular confrontations between its residents and the IOF soldiers who repeatedly launch arrest and raid campaigns into the city. Israeli soldiers abducted, on Sunday at dawn, four young Palestinian men, including two teenage siblings, from their homes near Hebron and Bethlehem, in the occupied West Bank. Several army jeeps invaded the al-‘Arroub refugee camp, north of the southern West Bank city of Hebron, searched homes and abducted Ahmad Amjad Jawabra and a teenage boy, identified as Mahmoud Yousef Madhi. The soldiers also stopped and searched cars at the main entrance of the refugee camp, and interrogated many Palestinians while inspecting their ID cards. 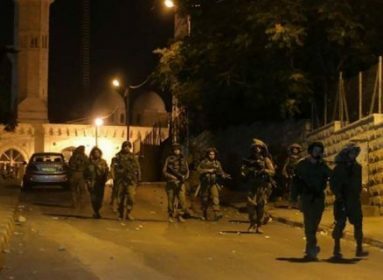 In addition, the soldiers invaded the al-Khader town, south of Bethlehem, also searched homes, before abducting Mohannad, 18, and his brother Hamza Mahmoud Darwish, 16, in the al-Jabal area.